At Preston Tyre Specialists, our expertise runs beyond just fitting quality tyres at unbeatable prices; our in-house mechanics can also ensure your battery is in optimum condition so that you don’t find yourself stranded. Modern car batteries have a life expectancy of around five to seven years and they don't necessarily need regular maintenance but it is advisable to check on them from time to time as there’s no telling when the end is near. However, it can be a hazardous procedure as battery acid is highly corrosive which is where we come in. Our highly trained and experience staff will provide a comprehensive battery service including full battery checks and a new battery selection and fitting service. Car batteries suffer if heavily discharged, damaging the cells as well as failing to start the car, so if the battery warning light comes on or if it’s clear that the battery has left the car sluggish when starting up, it’s time for a check-up. A flat battery is always a nightmare scenario and there isn’t always a good Samaritan around to help you get back on the road – or sometimes there just aren’t any jump leads when you need them.  As well as offering a mobile tyre fitting service, our mechanics can also offer a mobile car battery call-out service across Preston and Lancashire to help get you fired up and back on your way. 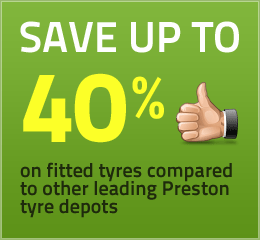 Preston Tyre Specialists can advise you on the battery best-suited to your vehicle, taking into account your available budget, and we always dispose of old or dead battery units responsibly.